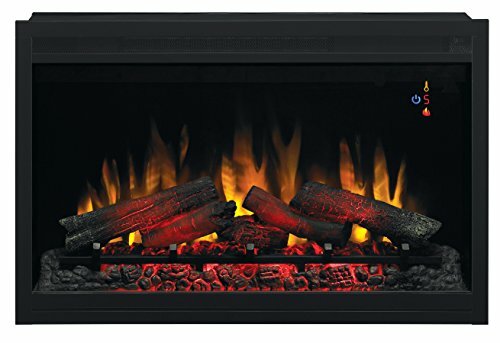 The ClassicFlame 28 inch 3D SpectraFire Plus Infrared Quartz Electric Fireplace Insert not only is a powerful heat source for your room, but is also a stunningly life-like fireplace that instantly creates the warm ambiance of a real wood burning fire. 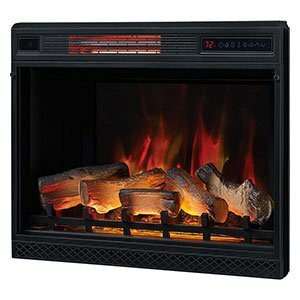 Featuring an inner lit, glowing log set in addition to the upgraded 3D SpectraFire Plus flame effect, the firebox replicates the charming glow, flickering flames and warm color of a gently burning fire. The enhanced flame effects give the illusion of depth as the flames appear to rise in front of, between and in the back of the resin cast log set. Utilizing energy efficient LED lighting, you can never have to worry about replacing any bulbs right through the units life-cycle. Additionally, advanced lighting effects allows you to make a choice from 5 color settings, 5 brightness levels in addition to 5 flame speeds – allowing you to create a custom look perfect for your mood. Once you add this advanced firebox to your home, you can wonder how you ever relaxed without it. 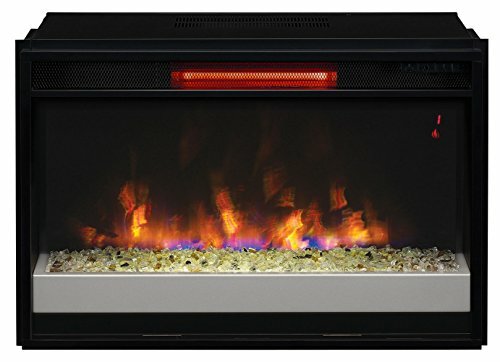 This unique fireplace uses efficient infrared quartz heating that produces supplemental warmth for up to 1,000 square feet of space. This is more than enough heat to help take the loosen up of your room in only a few minutes of operation. 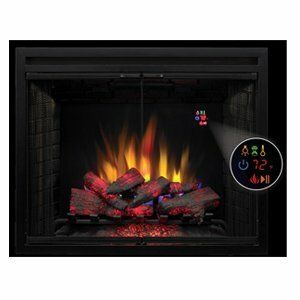 The firebox also includes a multi-function remote keep watch over which lets you operate the quite a lot of flame settings, heater/digital thermostat and on/off timer from virtually anywhere in your room. 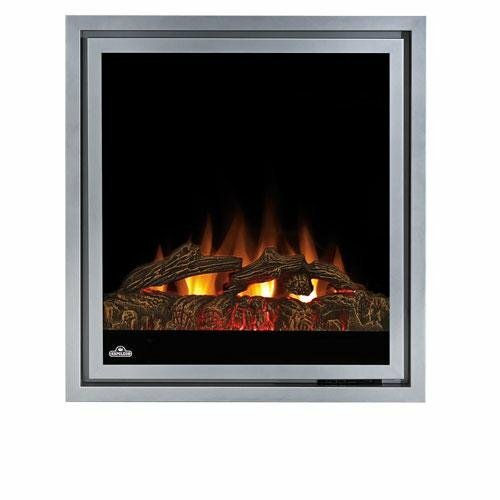 This electrical fireplace insert is easy to install and connects to a standard 120V household outlet.